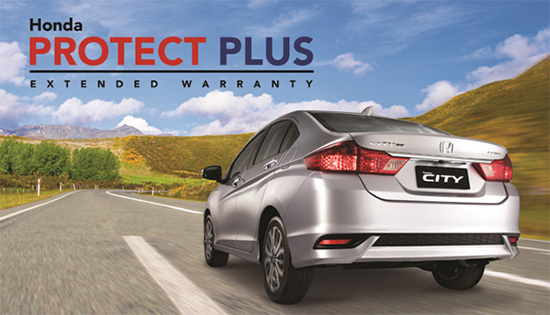 Honda Cars Philippines, Inc. (HCPI), Honda’s automobile unit in the Philippines, announces the launch of Honda’s extended warranty program, the Honda Protect Plus Extended Warranty. It is a flexible program that gives customers an option to extend their regular 3 year warranty for another 2 years. The Honda Protect Plus Extended Warranty program covers all models offered by Honda. Customers who purchase the Honda Protect Plus Extended Warranty will get an additional 2 years of warranty or 40,000 kilometers, whichever comes first. This takes effect after the standard warranty period of 3 years (or 100,000 kilometers whichever comes first) has lapsed. With this program, customers need not worry about possible sudden expenses brought about by vehicle breakdowns during the fourth and fifth year of their Honda’s life. Moreover, as their vehicle will be under the care of certified Honda technicians and only genuine parts will be used on their vehicles, they can command higher resale price should they decide to sell their Honda. The Honda Protect Plus Extended Warranty comes at very affordable price starting at Php12,300 for the Honda Brio.